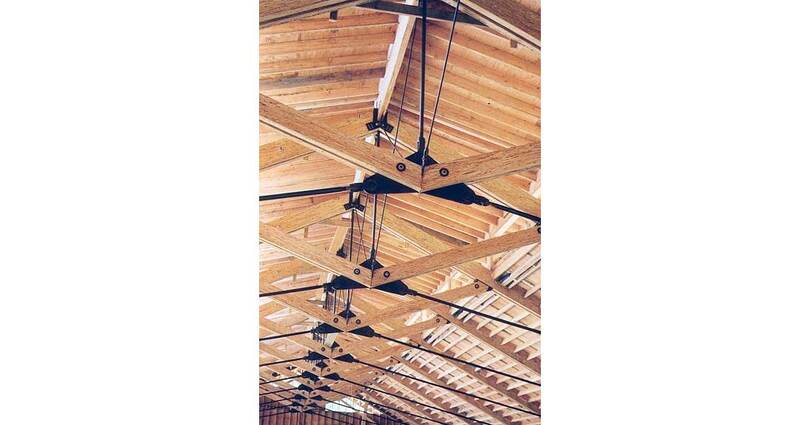 This gymnasium addition to a residential/educational complex on British Columbia’s Sunshine Coast features and innovative truss system to span the gymnasium roof. Due to the isolated location, the system was designed to be site-fabricated by the owner’s own construction forces. A sensitive use of materials, including the use of wood as the primary finish, was developed to fit the character of the existing facilities and to harmonize with the coastal surroundings.